After the death of Robert Welton, Charles Bourchier was instituted as vicar of Sandridge. He was a native of the place, having been born at Sandridge Lodge in Marshalswick Park; he had as his godparents a Duchess, an Earl and a Baronet. To this young man was committed the care of the people of Sandridge for forty-nine years. In his first year as vicar he baptised two infants, and that was about all he ever did in the village. The best that can be said for him is that he provided Sandridge with a succession of hardworking curates who took their duties seriously. These poor men had to live in a house with an open cesspit under one of the rooms.1 One of these curates was Thomas Henry Winbolt, who came to Sandridge in 1847. His work for the school and for the safety of the village has been mentioned. During his twenty-five years in the parish he prepared and presented 250 people for confirmation. Shortly before his departure he was specially commended by the Chief Constable of Hertfordshire, who said that it was chiefly due to his work that Sandridge was almost free from detected crime. The erection remained until 1886, and there are still a few parishioners who remember it. be not in future employed upon any parish business. To Thee, whose death from death eternal saves". For forty-nine years Sandridge had been without a resident vicar and Dr. Griffith was therefore given a good welcome in 1872. Of a nonconformist family and educated at Cambridge, he brought to Sandridge his Puritan views. He had many children of his own and he expected them to renounce the devil and all his works, which included in his view dancing and sports. He was one of the most notable vicars Sandridge ever had, and he was known as Doctor Griffith, having become a Doctor of Law some years previously. In that period the clergy were still of the gentry and were expected to live as such. That is why the enormous old vicarage was built at that date. Six and a half acres were bought for garden and meadow, the price being £400; £200 came from the Duchess of Marlborough as long ago as 1729, and the remaining sum was a grant from Queen Anne's Bounty. 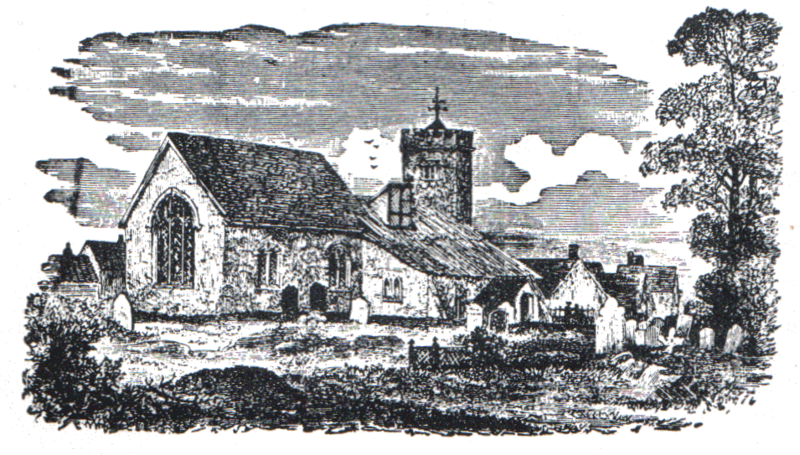 A few months after the new vicar's appointment the villagers cleaned the church and cleared away many years' accumulation of dust and dirt. Oil lamps were hung, replacing a few candles on the backs of the box pews, which had shed a dim light on winter afternoons. Dr. Griffith's most outstanding work for Sandridge was the restoration and enlargement of the church. When he came he found the church in an almost ruinous slate and he quickly decided to rectify the matter and make the church secure for posterity. He would not, however, start work until all the necessary money had been subscribed; This great task took fifteen years. 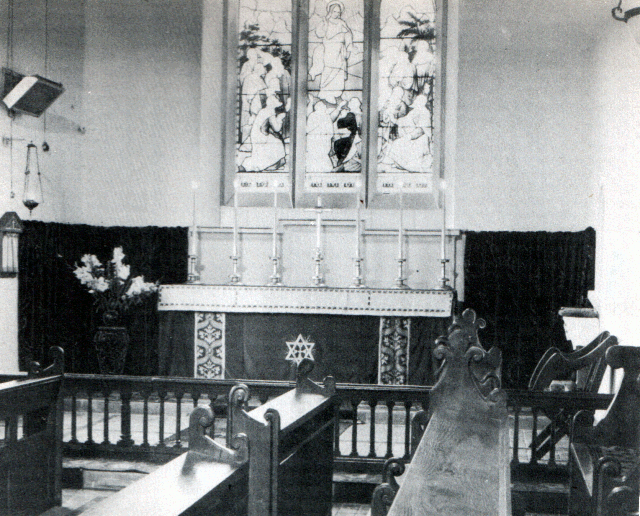 Many gave generously to the fund according to their means: £434 came from the Martens of Marshalswick, who had certain of the old box pews reserved for their use, but the continuance of this privilege was thwarted by the acceptance of a grant of £60 from the Church Building Society, which was given on condition that all seating was free and unrestricted. the work done will last good, needing only ordinary repairs, for another eight hundred years. Every house in the village soon knew him personally and there were few where he was not welcomed. provides a moving tribute. Hugh Anson, the last or the gentry vicars, who was at Sandridge throughout the Kaiser's war, did valuable work, the results of which are still apparent. Edward Giles will long be remembered for his work. and not least for his scholarship and labour in preparing a permanent record or time gone-by in his parish. 1. Sandridge Magazine, Vol.1, p.37. 2. Vestry Mins., Vol.2, p.2.